Choice is good, but can be overwhelming. Consider the wide variety of digital SLR camera packages you can choose from. You can buy the camera without a lens (body only), the camera with a kit lens, the camera with a separate lens, the camera with a two-lens kit or the camera with a lens, tripod, carrying bag, extra battery and two memory cards (a.k.a. "the works"). 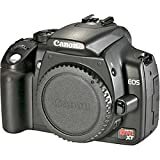 Let's walk through each one of these options in turn so that you can get a feel for what digital SLR camera package will suit you the best. In this instance, you're just buying the SLR camera body without a lens. This is the optimal route if you have previously owned a film SLR camera and already have some lenses. In many cases, your old film SLR lenses will work with the new digital SLR cameras. Rather than spending a lot of cash on new lenses, just use the ones you've got. This is also a good choice if you want to get new SLR but are on a tight budget. With the arrival of new digital SLR cameras, many pros have unloaded their old SLR lenses. If these old lenses have the same mount as your digital SLR, they will work just fine. The bonus? You can find these lenses for huge discounts, and if you don't mind getting used equipment you can save a lot of money. These are the most popular digital SLR camera packages. A kit is ideal for you if this is your first SLR camera. In this case you get both the camera and the lens, so you'll be ready to go out and take some pictures the moment it arrives. I have only one reservation about kit lenses: they're not the best. Since the camera manufacturers are trying to keep the price of the kits low to entice consumers, the included lenses are middle-of-the-road. They work quite well for the most common lighting conditions, but aren't ideal for specialized work like action, low-light and macro photography. Let me be clear: can you take action photos with a kit lens? Yes, absolutely. Is it the ideal lens for action photography? No, it isn't. If you take the majority of your photos outside in natural light or using the flash, you should not have any problem with kit lenses. This package is for those who know what they want to photograph, and don't like the idea of a run-of-the-mill kit lens. It's also for those who are willing to spend the extra time and effort to learn about lenses. If you can't stand the thought of more comparison shopping, then just stick with a camera kit. If you're hesitating about buying a camera kit but are hesitant to tackle the world of lenses, maybe this will help: I've got a 6-step process that will help you find the best digital SLR lens. There are a few digital SLR camera packages that come with two lenses instead of one. Who are these for? People who are undecided about what they like to photograph. Answer this: would you rather take a portrait of your friend or a nature shot of a finch? Can't answer right off the bat? Then maybe a two-lens kit is just for you. With two lenses at your disposal you can cover a wider zoom range: from wide angle for landscapes to telephoto for those bird closeups. Not many digital SLRs offer a two-lens package, so you might have to search around a bit to find one. The last digital SLR camera package is for you if you want to spend money once, and get everything you need. It's kind of like your one-stop-shopping for digital SLR camera gear. Buy one of these, and you won't have to go back to the camera shop (or hit the online stores) for a very long time.